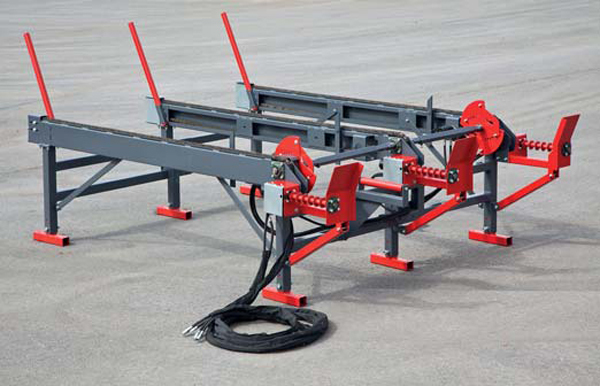 The solidly built Midi logtable is equipped with an in-feed deck with hydraulically operated chains and rotating log dispensers. The basic model has two 3 meter (9'10") long chain beams, one hydraulic feed roller that feeds the log lengthwise into the firewood processor, and two freely rotating support rollers. 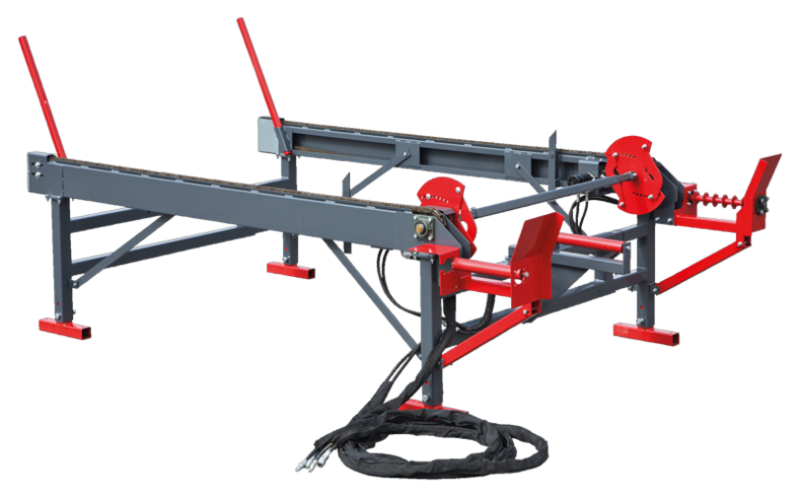 The Midi logtable is all available with a third chain beam and 1 to 2 hydraulic feed rollers to replace the free-rotating rollers. The adjustment range of the deck width is from 1.7 to 2.3 metres (5'7" to 7'7").This logtable can be used with D360 Ergo, D360 Pro, KS40 Ergo, KS40S, C900, Power100S and KS45S models. Some models might need an extra hydraulic circuit.